Reality shows reign supreme on the Food Network and Baltimore has been well represented in the past and March delivers a full plate of two Baltimore chefs and one food loving student of no-nonsense BBQ on three very different shows. The Waverly Brewing Company and The Smoking Swine invite you to the premiere party of the episode this Friday at 1625 Union Avenue - BBQ will be slung and brewery-fresh beers will flow. 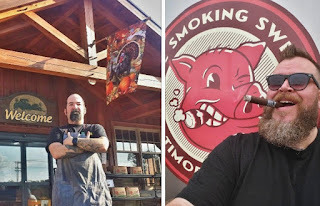 Follow Smoking Swine: Facebook Twitter & Instagram @thesmokingswine.